Helind’s Wraptor A6500 Printer Applicator combines print and application processes and automates the wire and cable marking process. Unit comes with 7 in. color LED touch screen, side-opening front access door, folding side access door and 3x USB ports. The applicator is compatible with Brady’s workstation label creation software and accepts variety of print materials. 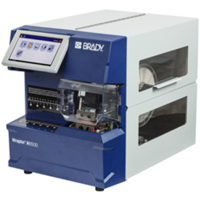 Heilind Electronics, a leading global distributor of electronic components and authorized distributor for Brady, now offers the Wraptor A6500 Printer Applicator as part of its full line of Brady identification products. The Wraptor A6500 Printer Applicator simplifies wire and cable marking by transforming a series of labor-intensive, inefficient tasks into a modern, automated process. Because it combines print and application processes into one unit, the Wraptor A6500 helps to improve productivity, enhance label readability and simplify operations. 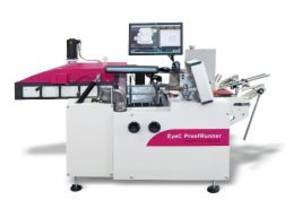 The new A6500 model offers the same reliable performance as the previous Wraptor printer applicator, plus improved firmware, greater accessibility and a more user-friendly interface. 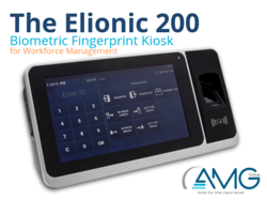 New features include a 7-inch color LED touch screen, side-opening front access door, folding side access door and three USB ports for increased connectivity options. The A6500 also accepts a wide variety of print materials that not only fit most wire identification needs, but are also compatible with Brady Workstation label creation software. Visit Heilind’s website for more information about Brady’s Wraptor A6500 Wire Marking System. Brady Corporation is an international manufacturer of high-performance labels, signs, safety devices, printing systems and software. Founded in 1914, the company has a diverse customer base in electronics, telecommunications, manufacturing, electrical systems, construction, medicine, aerospace and a variety of other industries. For more information, visit http://www.bradyid.com.